When it comes to the fashion pursuits of men with bigger and taller built than usual, the portfolio of the big mens suits comes as the most relevant attiring portfolio. These suits are specially designed keeping in mind the larger sizes that the bigger & taller men require to get the perfect fitment. The suits for the big men comprise of several fashionable variations that enable the fashionable men to make a ravishing public appearance. The introduction of the suits for the bigger and taller men marked a significant step in men's fashion. These attires addressed the lack of options in men's fashion for the bigger men as they had very limited choices to consider and the parameter they could consider was only about the fitment and not the fashion pursuits. These suits bring those men equally fashionable attires that the men with average built get and it stands assured that these clothes would offer the perfect fitment on their bigger and larger figure. 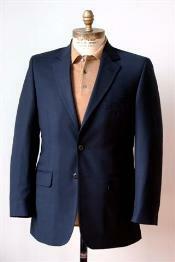 Considering the variation in the portfolio of the big mens suits, the discussion could start with the formal attiring. 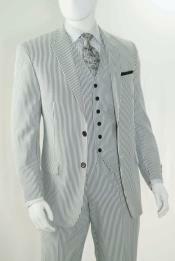 In that regard, the bigger and taller men now have the availability of the big and tall 3 piece suits. The suits in 3-piece design had always been considered the most appropriate choice of attires for the formal attiring needs. 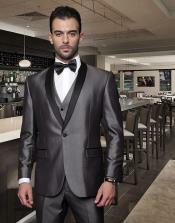 These attires enable the men to make a ravishing appearance to the formal environments. The formal dressing requires a sophisticated and classy appearance for which the 3-piee suit is the most appropriate choice as the attire. You will be getting several options on parameters like the fabrication materials, the design & styling as well as the color shades. Hence, you can be assured that there is the availability of attires that best fits with your personality, physical built and your taste & preferences. These dresses would glorify your larger built in a gracious style, rather than hiding it. Discussing the traits of the diversification in the suits for big men, the aspects of casual dressing also require to be discussed. Good to say, the portfolio of suits for bigger men have equally ravishing collection on the casual attiring as there are the big and tall 3 piece suits for the formal dressing needs. In the collection for casual dresses, you get suits that can be worn in great style for the various types of casual appearances that you might require making. Hence, it would be right to say that the big mens suits boast the presence of attires that can support the fashion pursuits of the bigger and taller men from all the probable dressing perspectives. If you are looking for the most delightful grades of bigger suits for men, you inevitably require visiting www.mensusa.com. The store had secured reputation for offering the most splendid collection of attires and accessories for men and the portfolio of offering comprise ravishing numbers in the category of the big mens suits. Transacting with this store, you can expect getting the most comprehensive range of attires within the most reasonable prices.